Posted	 May 1, 2018 by	Dr. Harjot Kaur & filed under Around the World, Your Stories. I was asked to write an article on the visit of Canadian Prime Minister Justin Trudeau to Amritsar in February 2018. The actual journey, however, began two years ago. In March of 2016, while meditating at the Golden Temple, I received a phone call from the Prime Minister’s office. Given that Prime Minister Justin Trudeau had been recently elected along with 17 Sikh MP’s, there was going to be a large celebration for Vaisakhi on Parliament Hill in Ottawa, Canada. I was requested to sing Kirtan and do the Ardas for the Diwan. It was such an honor and Blessing of the Guru to have been asked to participate in such an important day for Canadian Sikhs. Upon contemplation of the Shabad to be sung that day, the realization occurred that the particular tune had come to me several years prior. Only 2 days after arriving back from India, feeling jetlagged, I found myself on a flight to the Canadian capital. I briefly met the tabla player the following day. We only had enough time to sing 2 lines of the Shabad acapella while he practiced the tabla taal on the MP’s office desk. The Akhand Paath had already started on Parliament Hill and the Bhog and celebration of Khalsa Day program was to be on April 11th. Although Akhand Paaths had been done yearly for Vaisakhi since Sikh MPs had been elected, this year was special given the scope of the celebration of Khalsa Day. Gurdwara Presidents from across Canada were invited to attend, and the entire program was being broadcast live by the media to India and worldwide. It was a very special program and I could feel the excitement, and the pressure building. To me, it seemed like the vision of the Siri Singh Sahib ji of Sikhs being integrated within mainstream Canadian Society was coming to fruition for Canadian Sikhs. 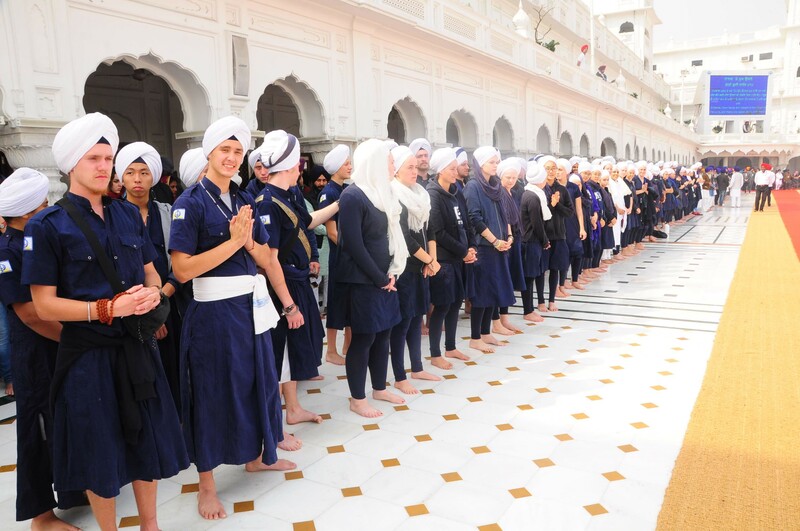 “Gursikh meet chalo Gur chali” “Oh Sikhs of the Guru, O friends, walk on the Guru’s Path” . This Hukamnama immediately helped me relax, as it had a special meaning for me. This Hukamnama came several times from the Harmander Sahib on my birthday. As the Guru’s words vibrated in my ears and heart, the presence of Guru Ram Das Ji was evident. The Diwan itself was being held in the Reading Room – a grand hall fitting for the presence of the Siri Guru Granth Sahib Ji. The Ramala Sahib from the Harmandir Sahib was being set and I helped to place them exactly in the manner in which it is done at the Harmandir Sahib. One gentleman from the Ottawa Sikh Community thanked me for helping them as they initially did not know how to set the Ramala’s correctly. I smiled as he said “You must have studied the Harmandir Sahib”. By the Grace of the Guru, I have visited the Harmandir Sahib yearly since 1994 and spent substantial time meditating there. Then it struck me. Guru Ram Das Ji was entirely in control. The Hukamnama, the Ramalas, and even my journey back from the Harmander Sahib. Everything. Then I began to relax. Although I wished the Siri Singh Sahib ji was there in person, he clearly was there in spirit. The presence of the Siri Singh Sahib ji was in me, in Randeep (one of the Sikh MP’s who knew him for years from Vancouver), in Jot Singh (who had made the Siri Sahib presented to the Prime Minister from the 17 Sikh MPs) and in Siri Bandhu and her husband who live in Ottawa. It was beautiful vibration which was very electric as the Prime Minister entered to bow at the feet of the Siri Guru Granth Sahib ji. After all the speeches and the presentation of the Siri Sahib, I spoke to the PM about the power of prayer occurring in the governmental reading room as we prayed not only in remembrance of the formation of the Khalsa but also for the PM’s leadership and the entire Government of Canada. I started Anand Sahib and then recited the Ardas. 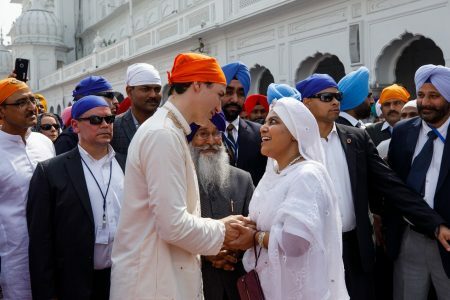 It was a very profound moment for Sikh women everywhere as it was the first time a Sikh woman recited the Ardas in a congregation where Presidents from the Sikh gurdwaras across Canada were present. The significance of this was acknowledged later on by the Akal Thakat. The Grace of Guru Ram Das ji and the Siri Guru Granth Sahib ji presided over the program. During the evening reception, I met the Prime Minister for the first time in person. He grabbed my hands and brought them to his heart and said, “You sang beautifully and …Oh…your prayer ….” His voice trailed off as he was both emotional and moved. His emotion was heartfelt as his face registered the spiritual significance of the Ardas and Diwan. When I went to India in October of 2017, I stayed with Baba Mengha Singh of Nishkaam Seva. Babaji had a very major role in the Seva of replacement of the Gold on the Siri Harmandir Sahib. 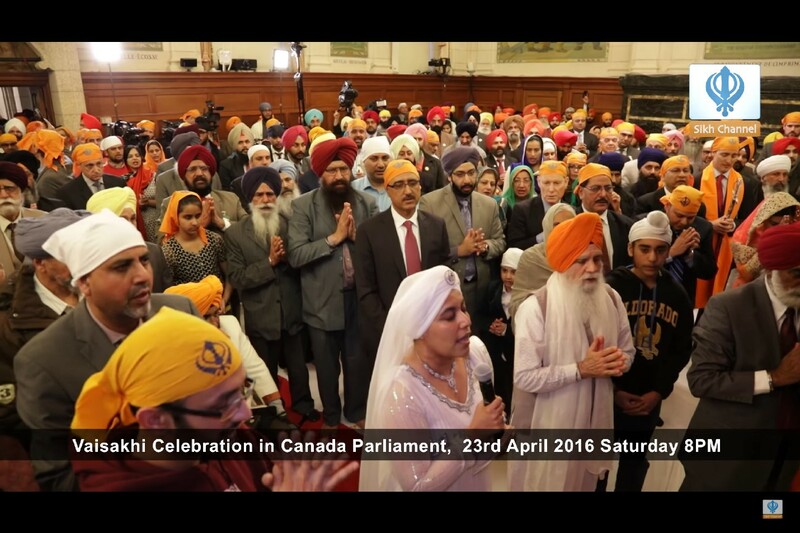 Babaji was very proud of my participation during the Vaisakhi celebration at the Canadian Parliament. He told me that it would be very important to be present when the Canadian PM comes to the Harmandir Sahib. Babaji said that the PM would be happy to see a fellow Canadian at the Harmandir Sahib. After that, each time I saw Baba Mengha Singh Ji, he would always remind me of this. In December of 2017, the PM’s visit to India was announced. Baba Mengha Singh emailed me to be sure that I knew the PM would be coming to India in February of 2018. I flew to the Harmander Sahib and spent New Years Day with Baba Mengha Singh. He insisted once again to come back during PM’s visit to India. After the end of my holidays, I returned home to Canada only to hear that four days later, Baba Mengha Singh had unexpectedly left his body to merge with the Divine. Coincidently, I did have holidays preplanned for mid February, but I was somewhat hesitant to travel to India again. However, I could hear Baba Mengha Singh’s voice resonating in my ears. 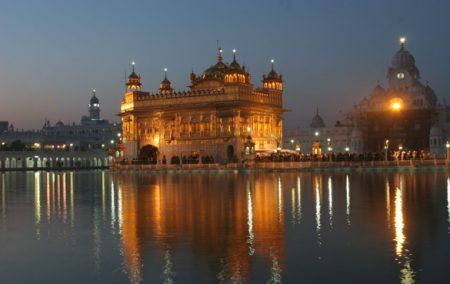 By the Grace of the Guru, I arrived in Amritsar the day prior to the Prime minister’s arrival at the Harmandir Sahib and immediately went to the SGPC office. The SGPC was doing a dry run prior to the Prime Minister’s visit. Miri Piri Academy was anxious to be present but had not been given any information regarding the Prime Minister’s visit. I worked directly with Dr. Roop Singh, Secretary of the SGPC, and organized for 50 senior students along with MPA staff to be present as security on the Parkarma. The next morning, MPA was standing on the Parkarma in formation 2 abreast along with the SGPC organized security close to the Baba Deep Singh Gurdwara. As we waited, the Punjab police came to inform me that MPA should maintain formation and not call the PM as he walks by. We acknowledged this and told the police officer that we would obey, but if the PM stopped for us, then we would come forward to talk to him. The officer laughed at my comments. 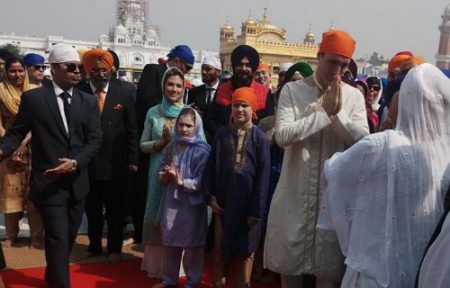 After about 3.5 hours of waiting, the Prime Minister entered the Parkarma of the Harmandir Sahib from the bazaar entrance. The sound of the Shabad “Beta Sodhi patthsah Ramdas Satguru kahaurvay” “Now Guru Ram Das, The Sodhi Emperor, seated on the Guru’s Throne.” was vibrating through the air and ethers. While standing on the Parkarma, we watched the live TV coverage on our phones of the Prime Ministers’ every step. He and his family were dressed in traditional Punjabi clothing walking along side with a large entourage of people. They proceeded to the langar hall to do Seva and make rotis. Then the PM continued walking towards the Baba Deep Singh Gurdwara. As he approached the MPA security line, MPA started chanting “Bolay So Nihal” and the Prime Minister lifted his folded hands in acknowledgement and greeting. I was standing with Japjit Kaur (MPA staff) in the middle of the MPA line. Dr. Roop Singh was in the front accompanying both the PM and his family. 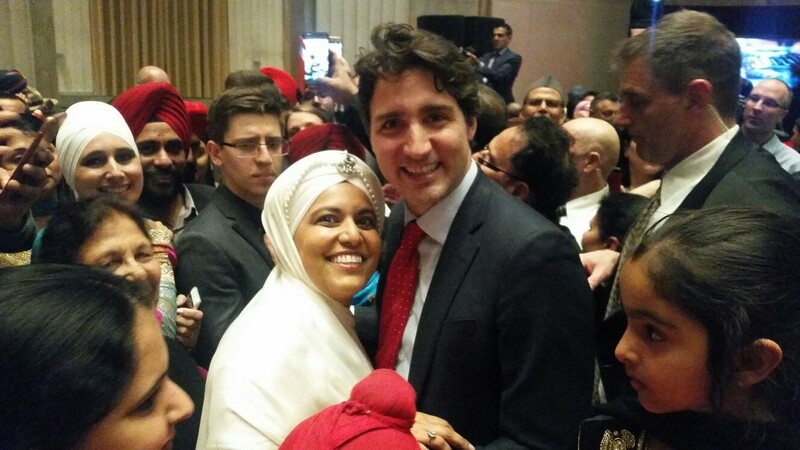 When the PM came close to me, he recognized me from the Parliament Hill Vaisakhi celebration two years prior. PM Trudeau saw me, stopped walking and smiled as he said “oh!” At that point, I walked up to him and he grabbed my folded hands in his. I spoke of our prayer for him to be blessed as a leader with the righteousness, courage and strength to lead Canada in the world. The PM nodded in heartfelt appreciation, and the depth of this sentiment was displayed visibly on his face. He was clearly moved by his visit to the Harmandir Sahib. “come my friend, so that I may behold the Blessed vision of the Guru’s Darshan”. At the feet of the Guru, the entire family knelt down on their knees and bowed together. The blessing of this opportunity was visibly evident on their faces. The PM gave a Ramala sahib to the Guru and then his entire family was presented with Saropas and garlanded by the Head Granthi of the Harmandir Sahib. It was beautiful to see the respect and sincerity of a great world leader visiting the Harmandir Sahib with both humbleness and humility. He did everything a Sikh would do while visiting the Harmandir Sahib- Seva, purchasing parshad, bowing to the Guru and Taking a Ramala for the Guru as well as receiving parshad upon his exit. It was a wonderfully unique experience and source of pride for MPA, myself, and significant for Sikhs worldwide. We were congratulated by many SGPC officials who felt that MPA “looked most beautiful and was the best dressed security.” In addition, I had the opportunity to personally speak with the Prime Minister. One of the officials said to me, “Madam, we all wanted to speak to the Prime Minister but couldn’t …and the entire world saw you speak to him.” To me, it was astounding to me that the Canadian Prime Minister recognized me from Vaisakhi celebrations two years prior. By the Grace of Guru Ram Das Ji, I then understood that the prayer and blessing of Baba Mengha Singh had come to fruition. As both a woman and a Sikh, I am honored at the opportunity to serve. 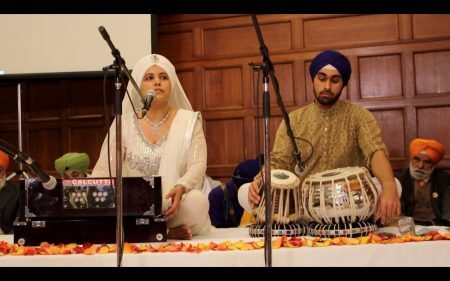 First as a Khalsa woman performing Ardas for Vaisakhi celebrations, and second, both for and with MPA as a trustee of the Siri Singh Sahib Corporation in the Court of the Guru Ram Das Ji. I am truly grateful to the Guru for the Blessing of this experience. 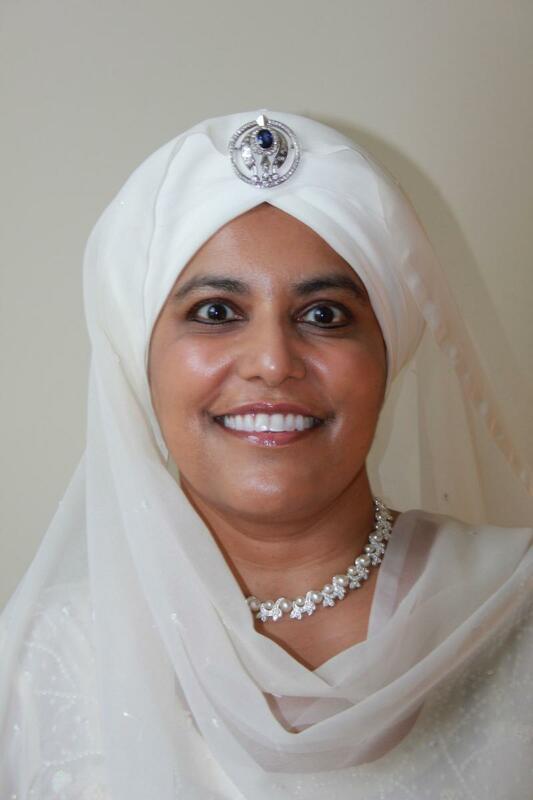 Dr. Harjot Kaur served as the chair of the International Khalsa Council from Fall 2016 through Spring 2018 and sits as a trustee on the Siri Singh Sahib Corporation, the board that oversees all of Yogi Bhajan’s legacy organizations. She is currently a practicing Family Physician in Calgary, Alberta, is the chair of the Alberta Health Services Spiritual Care Advisory Committee – an interfaith committee that deals with patients’ spiritual care needs in acute care settings, and the chair of the Calgary Foothills Primary Care Network.